This RSEvents!Pro Eway Payment Plugin is commercial and needs to be purchased separately. The price of the plugin is: 9 EUR. Description: This plugin offers the possibility for subscribers to pay for the selected tickets via Eway gateway. This payment plugin is purchased separately and requires installation. Customer ID: your customer ID. 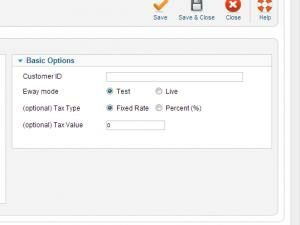 Eway mode: Test / Live, select Live if you are using the plugin in a production site. If you want to test transactions, select the Test mode.